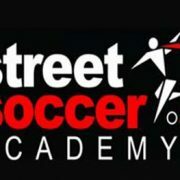 I am delighted to be working again with Street Soccer Academy (SSA) to put evidence of their social impact at the heart of their work with ex-offenders. This important work has been made possible by a grant from the Access Impact Foundation whose mission is to make charities and social enterprises more financially resilient and self-reliant, so that they can sustain or increase their impact. Without the generous funding from the Access Impact Foundation we would not able to provide Street Soccer Academy with our powerful data analysis. Street Soccer Academy is a great client to work with. They use professionally organised sports-based programmes in the rehabilitation and reintegration of people from some of the nation’s hardest to reach groups, including ex-offenders. Our task is to prove that SSA’s pro-social models are affecting the attitudes and thinking of the men and women with whom they work, with particular emphasis on their relationships and roles in society. In the coming months we will be using our rigorous social impact analytics to contribute to the knowledge of what makes ex-offenders desist from crime. Our previous evaluation of the academy’s prison to community service, produced evidence of SSA’s excellent engagement of ex-offenders into their programme. With the foundation’s funding we will build on that by using our advanced statistical analysis to identify who benefits from the programme, how and in what circumstances. These analyses will assist the academy to identify the most effective practice and allow it to develop its professional programmes. To ensure that it has the right information at the right time we will be building a dashboard to communicate this data to those delivering the programme, their managers and the funder. Not only will this improve their practice, but it has important implications for government’s Transforming Rehabilitation agenda. That agenda depends on organisations like SSA being commissioned to deliver services through the private community rehabilitation companies. However, the participation of such organisations has been low as they struggle to demonstrate their impact on reoffending pathways and desistance from crime. Access Impact is helping to overcome those obstacles and by funding our work, will enable SSA to attract further funding and make the systemic changes that are essential to support men and women to desist from crime. http://getthedata.co.uk/wp-content/uploads/2016/09/strsocr.jpg 263 374 Jack Cattell http://getthedata.co.uk/wp-content/uploads/2016/08/gtd-logo.png Jack Cattell2018-05-23 14:25:002018-05-23 14:30:08Make Social Impact Your Goal!